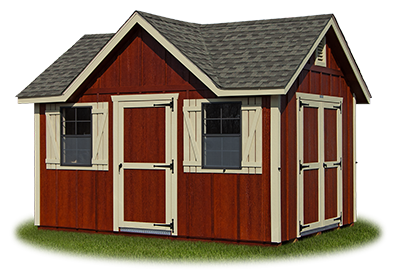 All Victorians are built to our heavy duty specs and include a double door, an additional single entry door, and two windows. 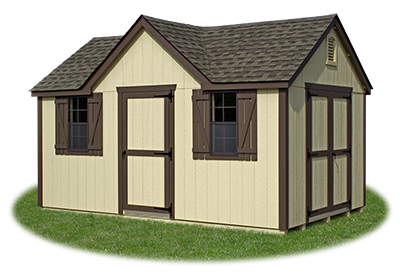 Choose from any of our sidings in a variety of colors. Custom color matching available for your HOA. 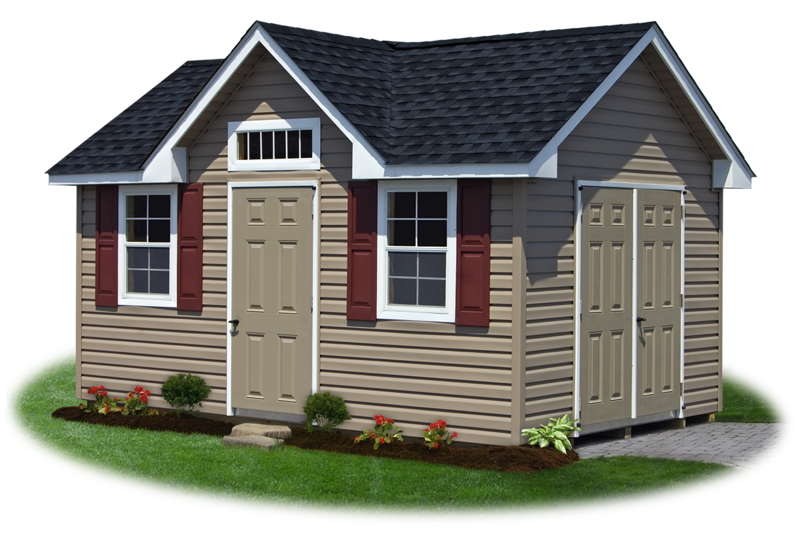 Doors and windows can be placed as desired at no added charge. 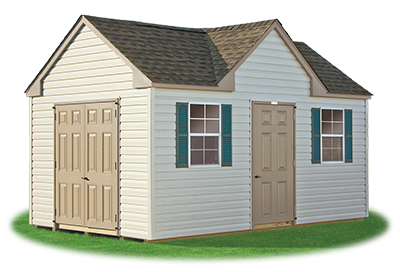 Your local store manager will be able to help you custom design your building for your use requirements. 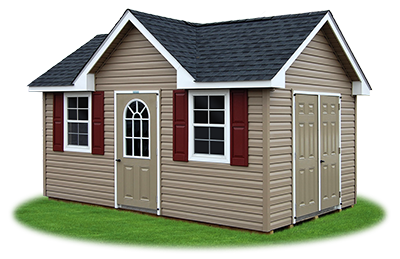 Your building is delivered to you completely finished and ready to use. 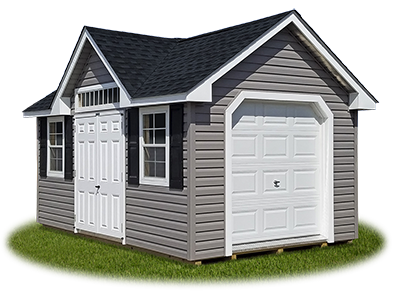 Assembly at your property is also available if we do not have access to deliver a completely assembled building. 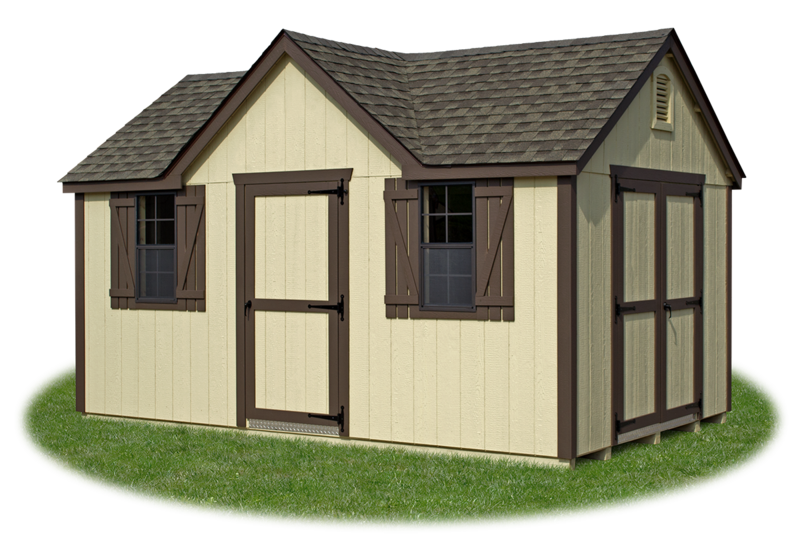 Our structures include some of the best manufacturer's warranties available, including a 6-Year Top-To-Bottom Warranty. Same Good Looks, But More Economical! 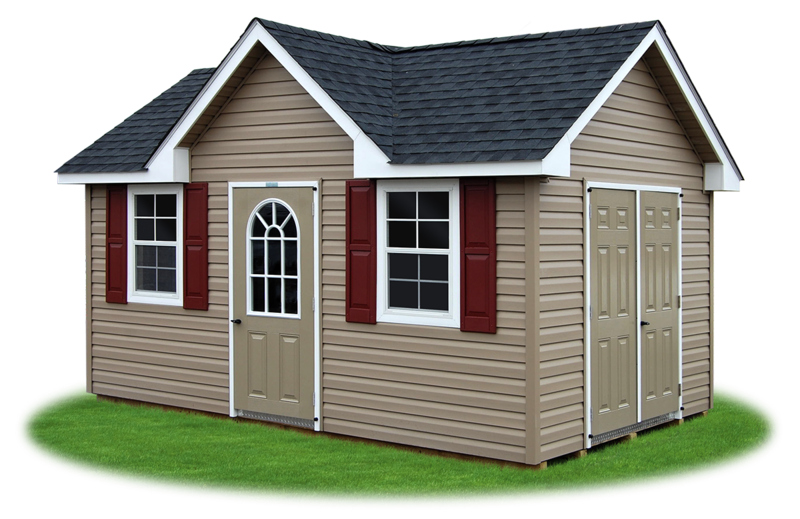 Standard Victorians have 3” open roof overhangs on all sides. 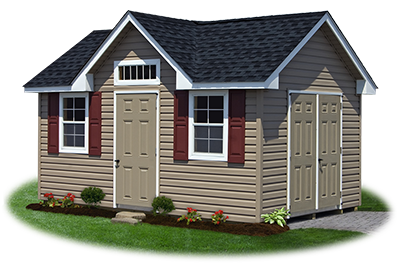 Standard Victorians include a double door, a single entry door, and two windows. 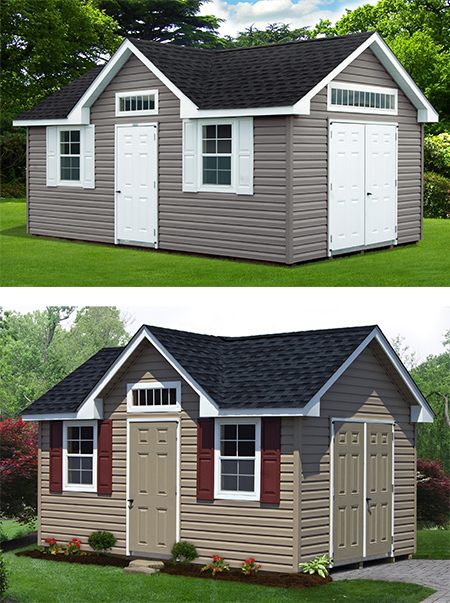 Standard Victorian sheds with LP siding include 'Z' shutters and New England trim and hardware. 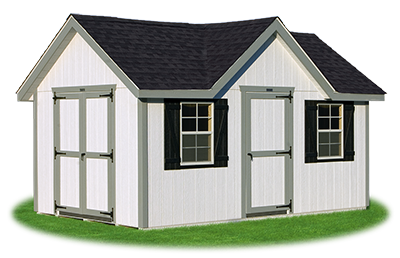 Standard Victorian sheds with vinyl siding include louvered shutters. 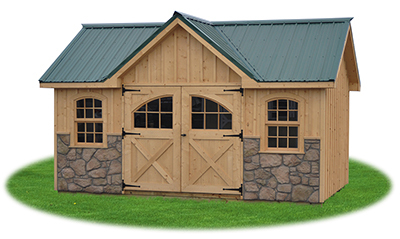 Featuring classic sand vinyl siding, artisan clay trim and doors, green shutters, and weatherwood shingle roof. 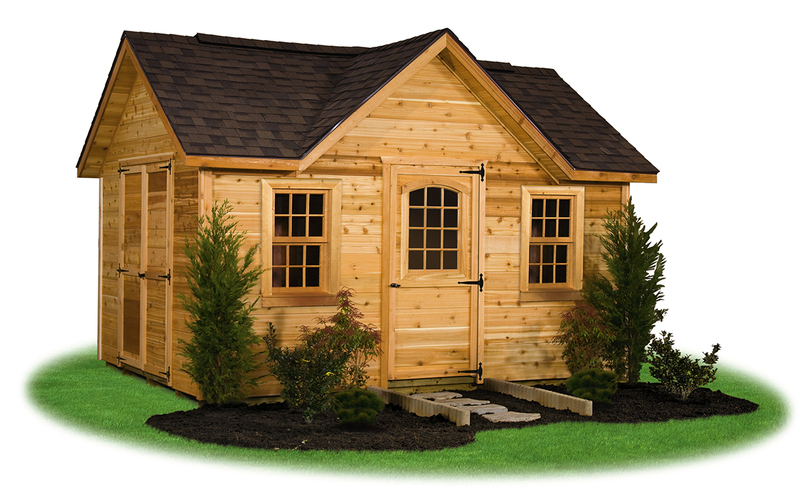 Featuring beige LP Smart Side siding, bronze trim, bronze ‘Z’ shutters, and weatherwood shingle roof. Our Most Popular Victorian Style! 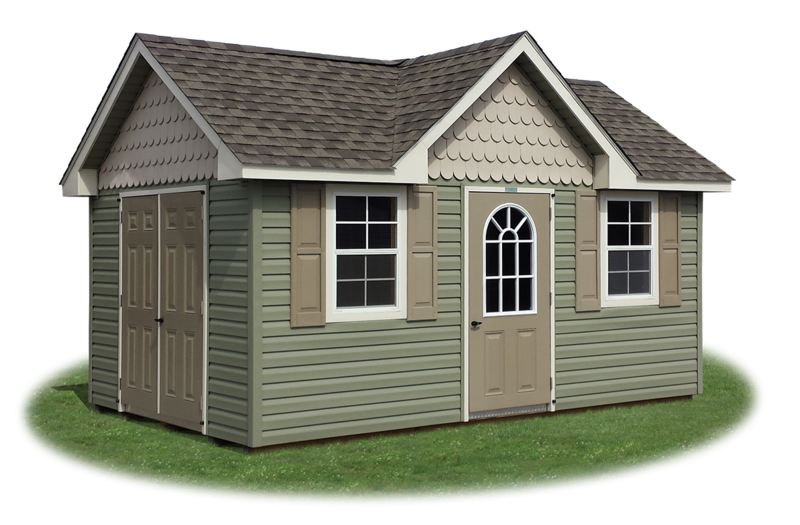 Deluxe Victorians have 8” roof overhangs on all sides that are enclosed with soffit. Deluxe Victorians include a double door, a single entry door, and two windows. 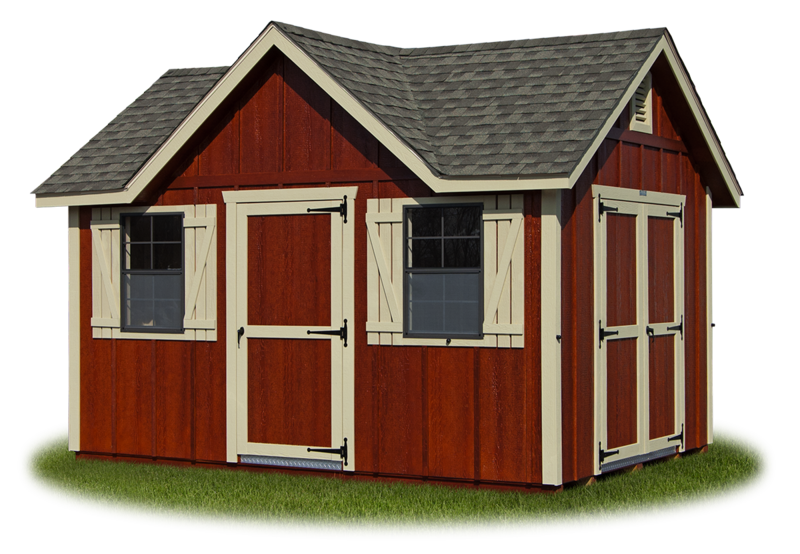 Deluxe Victorian sheds with LP siding include 'Z' shutters and New England trim and hardware. 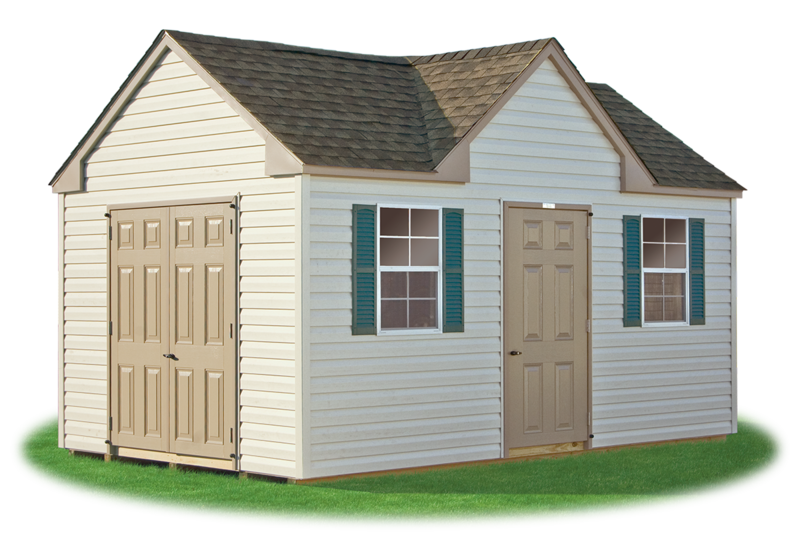 Deluxe Victorian sheds with vinyl siding include raised panel shutters, deluxe aluminum trim about windows, and one of three window design choices for single door. 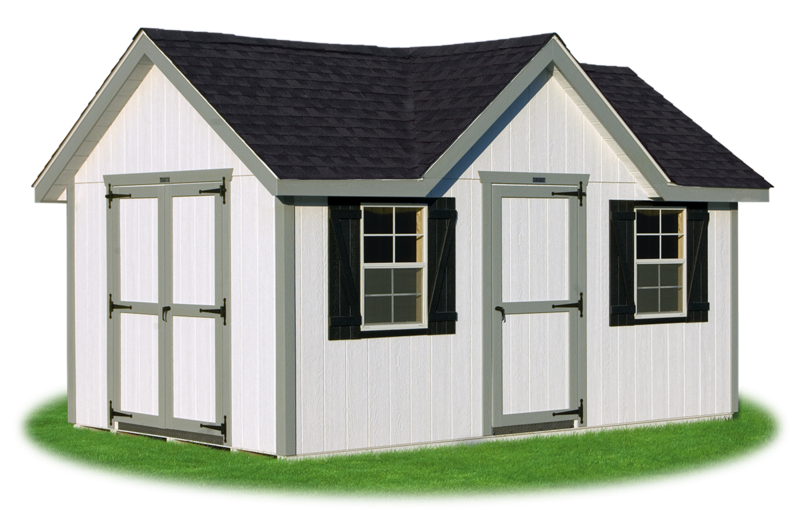 Featuring white LP Smart Side siding, light grey trim, black ‘Z’ shutters, and charcoal shingle roof. Featuring artisan clay lifetime vinyl siding, white trim, artisan clay doors, red raised-panel shutters, and charcoal shingle roof. 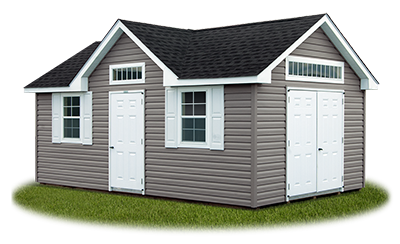 Featuring classic sand lifetime vinyl siding, white trim, classic sand doors, white raised-panel shutters, and shakewood shingle roof. 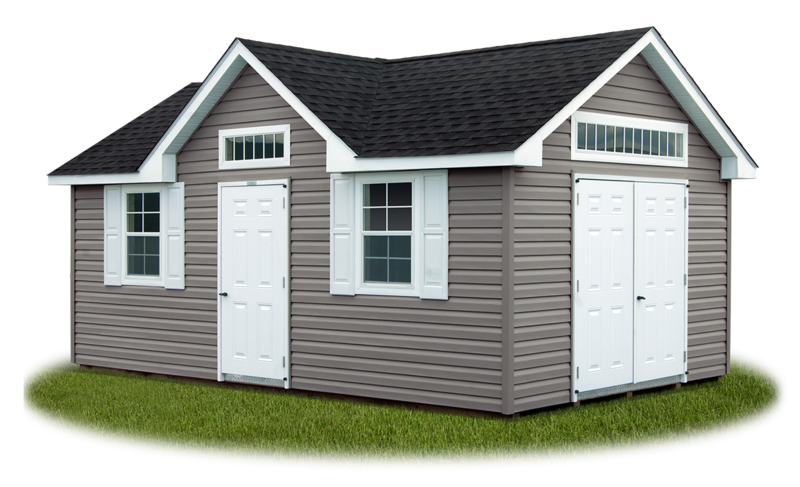 Featuring graphite grey lifetime vinyl siding, white trim and doors, white raised-panel shutters, and charcoal shingle roof. 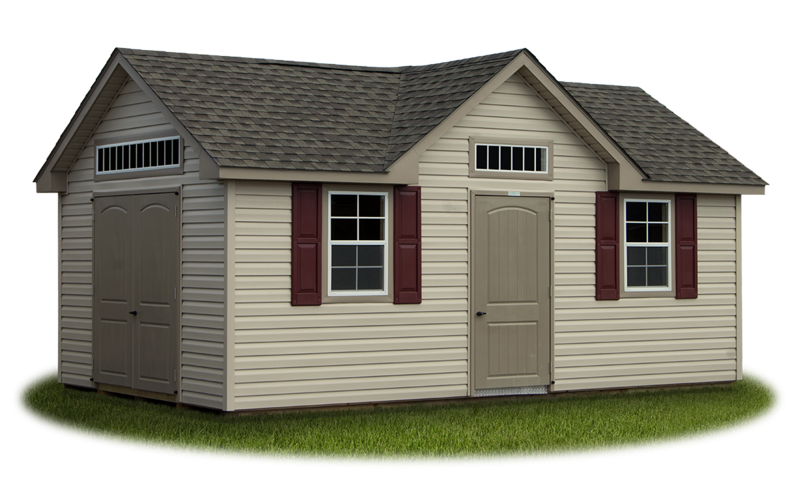 If You Can Dream It, WE CAN BUILD IT! 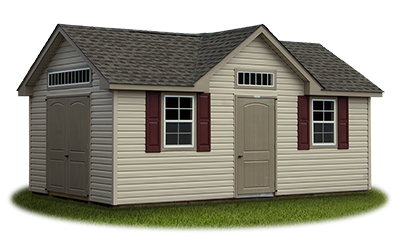 Our buildings can be modified or customized to accommodate your needs. 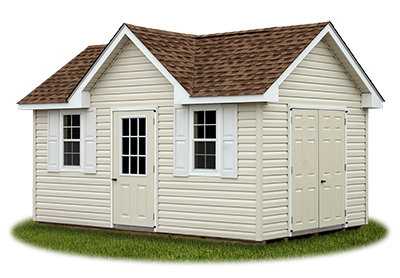 Victorian models make great offices, pool houses, studios, pub sheds, man caves, and she sheds! 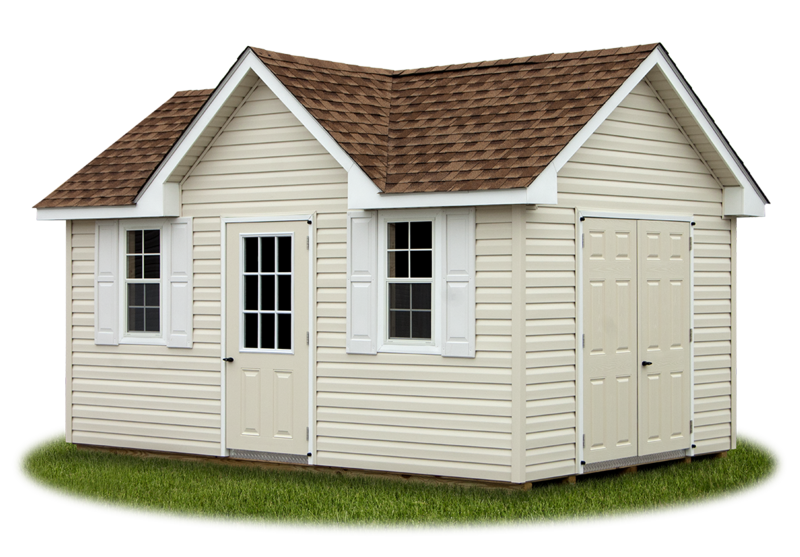 We can install shelving, lofts, workbenches, or pegboard. Shelves and lofts are an inexpensive way to substantially increase your storage capacity, while keeping your storage structure or workshop organized. 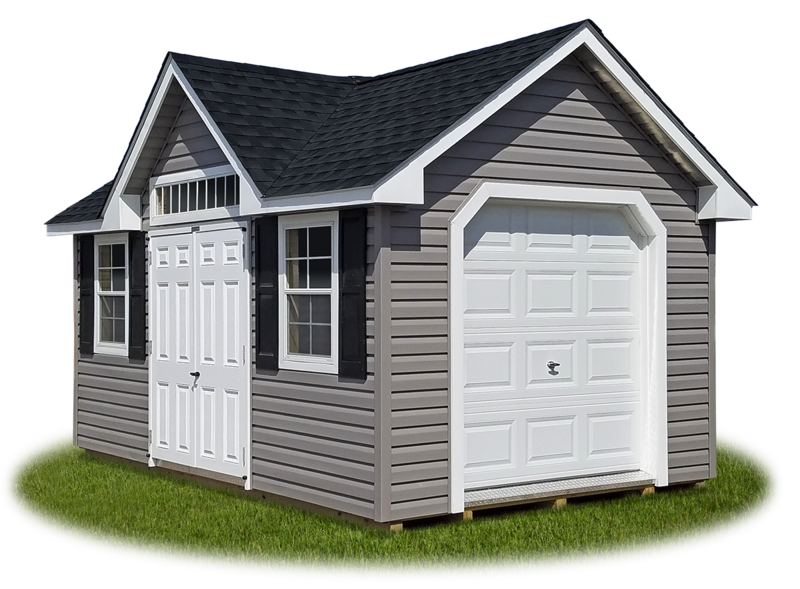 Many other upgrades are available, including additional doors, larger doors, garage doors, additional windows, larger windows, ramps, diamond tread plates, porches, many venting choices, and much more. 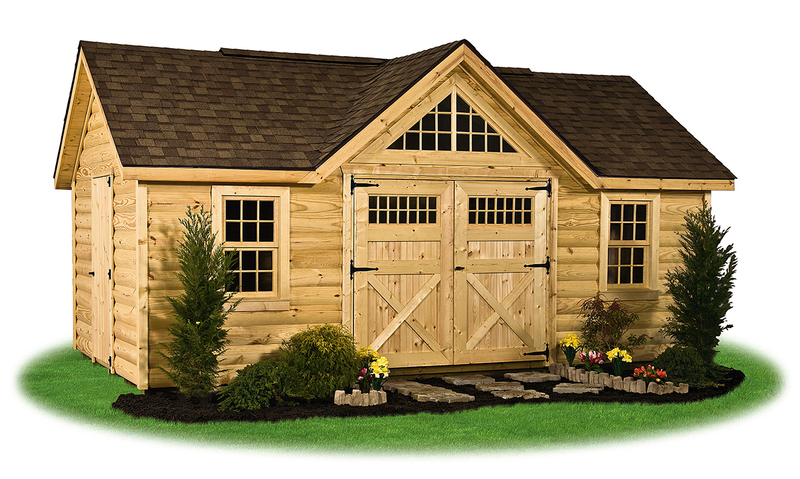 Featuring meadow lifetime vinyl siding, classic sand trim, artisan clay doors and raised-panel shutters, classic sand scallop siding in gables, and weatherwood shingle roof. 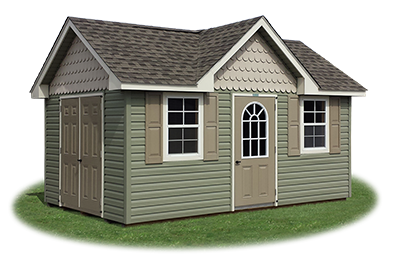 Upgrades shown on this structure: Optional siding color, scallop siding in gables, shingle-over ridge vent, and diamond tread plates. Featuring board 'n' batten siding and green metal roof.